Sunglasses of classic forms, very resistant and lightweight. The aspect is innovative and extremely original. 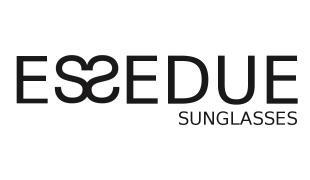 The innovation is in the specifics of the manufacturing: on the front is possible to notice a metal plate insertion with the ESSEDUE logo; the same can be found on the temples. The acetate colours are exclusive and the manufacturing is entirely Italian and handcrafted. The lenses are base 2, point focal offering a perfect line of vision thanks to internal non-glare. Unisex eyewear with vintage revisited design: unique model, beautiful to wear.